California has had an influx of wildfires! Throughout these fires, it is important to protect workers’ health and their surroundings during the cleanup process. 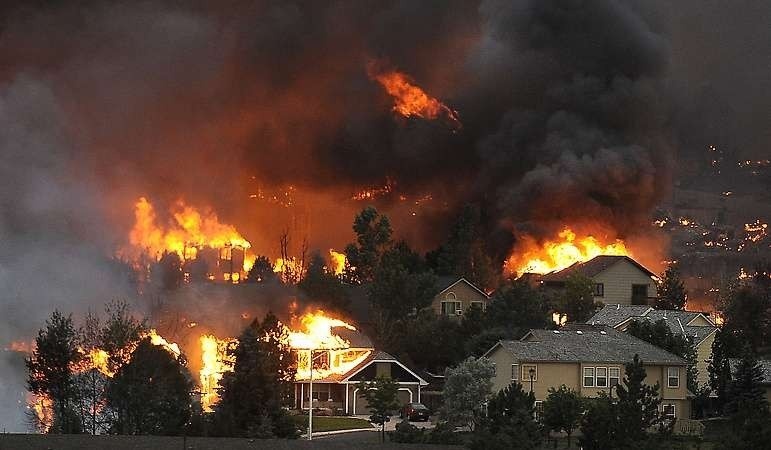 Even after the wildfires are put out, there are many safety concerns to be considered. “Smoke from wildfires contains chemicals, gases and fine particles that can harm health. Hazards continue even after fires have been extinguished and cleanup work begins. Proper protective equipment and training is required for worker safety in wildfire regions.” This is a statement posted on the CAI/OSHA Website. ● Fire safety: Keep a fire extinguisher on the scene. This will help with additional fires that may start up from flammable material that may spark of a fire again from random heat sources. ● Electrical Safety: Make sure qualified electricians and present and the only ones with access to all power lines. Make sure that all electrical equipment is cleared and checked. ● Gas Leaks: Check all pipes and tanks for leaks or damages. Also, be aware of carbon monoxide poisoning. The use of equipment that requires Carbon Monoxide is usually banned from indoor use. ● Unstable Structures: Check the stability of the surrounding structures to avoid collapsed buildings. Check the safety of confined spaces from “hazards such as toxic exposure, asphyxiation, electrocution and unguarded moving machinery. ● Hazardous Materials: Test for hazardous materials and take the required steps to remove and dispose of the materials properly. ○ Fire-damaged structures may contain asbestos. Asbestos in damaged structures poses serious health hazards to employees. Details on safety regulations are available on Cal/OSHA’s Asbestos Information page. ○ Provide the required safety clothing and devices to protect for flying object and sharp objects that could appear from debris. ○ Employers must provide NIOSH-certified respirators designated as N-95 or greater to protect from the air quality in the area. ○ Heat illness is a hazard for outdoor workers. Employers must provide potable drinking water free of charge, rest breaks and access to shade to prevent heat illness. For more information and the entire list of the California Code of Regulation, please refer to the CAI/OSHA Website. Always follow appropriate protocol and think of the workers safety first.